Eighty-year-old Nancy McAdams is still involved with the day-to-day operations of Anchor Travel Agency, in Pawtucket, the business she opened 40 years ago. Her daughter, company manager Colleen A. Keane, said the pair have attempted to discuss how and when to handle the transfer of the company when McAdams retires “three or four times” over the years, but the subject is too emotional for either to complete and so the company remains without a valuation or succession plan. “Every time she and I talk about it we both get choked up, teary-eyed and can’t go any further,” said Keane, herself 61 years old. Valuing a business or selling it from one owner to the next can be a difficult enough process, said David Karofsky a Framingham, Mass.-based consultant for The Family Business Consulting Group out of Chicago. But when a family-owned firm changes hands, it’s often further complicated by the fact that the parties are also related. Unique aspects of valuation and succession planning among family businesses, he said, can range from the inability to emotionally address the subject to simplified valuation and succession planning completed in-house by the family members involved. McAdams knows she and Keane will eventually be forced to deal with valuation and succession, but working at the travel agency allows her to exercise her mind and go on trips with her companion. He suggested the women try to identify the barriers keeping them from discussing a plan and seek professional help in facilitating the process. With eight children, 18 grandchildren and nine great-grandchildren, McAdams’ and Keane’s family is a large one. 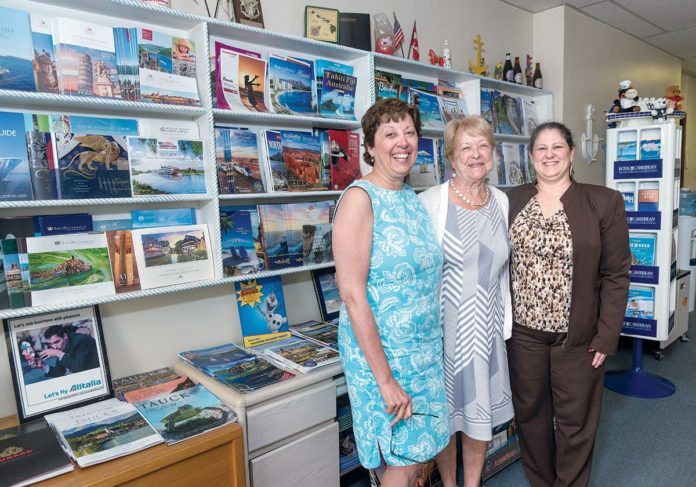 McAdams said the grandchildren and great-grandchildren are always interested in traveling with the elder generation, asking their opinion of international destinations and booking through the agency, but the women know the business will close with them. “I wish there was somebody in the family, a younger person, who would be interested” in taking over management of the business, said Keane. Both women agree the travel agency is at a place where if “somebody gave it a chance, they could really grow the business,” said Keane. However, she added, “there’s not a lot of money to be made in the [travel industry],” which isn’t attractive to millennials starting out careers with student loans to repay. As the third-generation owner, Jonathan Teoli has worked at the family business, Rhode Island Limb Co. in Cranston, for 19 years – five of which he worked side by side with his father, the second-generation owner, before the patriarch began to phase into retirement. Over his career, Teoli said he’s come to understand many family-owned businesses fail because of “internal struggles” – for example, “the older generation struggles with sharing responsibility and the younger generation fails to understand and respect the experience and knowledge” of the elders – and refused to let that be the case for Rhode Island Limb Co.
There’s no negative to in-house negotiations, said Karofsky, adding they can often lead to plans that are beneficial to both the family and the business. “Families will tend to be more flexible on the value and terms of the deal when working with other family members,” he said, but in his experience “a lot of families struggle” to accomplish what Teoli and his father have done. For Teoli, the inclusion of external consultants, such as Karofsky, to “hash out” the valuation and succession process was akin to “selling a house to a stranger” and was something they felt “was not really appropriate” in their case. Karofsky agrees. He believes marketing his services to families is “inappropriate” but rather markets himself by educating the public about his services and listening to family-owned businesses express issues they have encountered with the valuation and succession process. Unlike McAdams’ and Keane’s situation, Teoli isn’t concerned about Rhode Island Limb Co. surviving into a fourth generation. “Prosthetics is so atypical, its alluring to a lot of young people,” he said of the field, which is increasingly involved in 3-D printing technology. While his two children are too young to make career decisions, Teoli said there is continual interest among local youths, who sign up for internships, as well as the children of his employees who also grew up around the business.